Today is August 3rd, also known as National Watermelon Day! I felt it is only appropriate to make todays herb the watermelon. It is the perfect summer fruit! In TCM it is known to quell summerheat. What is summerheat? It is one of the pathogens that attacks the body in the summer time. Symptoms are high fever, burning heat sensation of the skin, irritability, thirst, forceful and rapid pulse, etc. The summerheat can also combine with the damp pathogen and create a urinary obstruction. This is where the watermelon comes in. 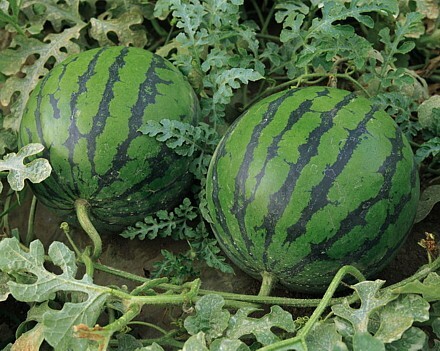 The watermelon is great for clearing summerheat, especially the significant thirst and helps promote urination! By helping the body vent this heat, it is guided downward through the urine. The taste is bland, sweet and cold and because it grows in the summer months, it is great for summer issues! I love how Chinese Medicine can be so basic! My instructor in school also referred to the juice as being great for a hangover, especially that thirst and dry heave part, not that I know anything about that…. Lets not forget about that rind!! We are so quickly to throw it out, but it too has medicinal properties. Almost all peels in Chinese Medicine are great for edema, and this one is no different. 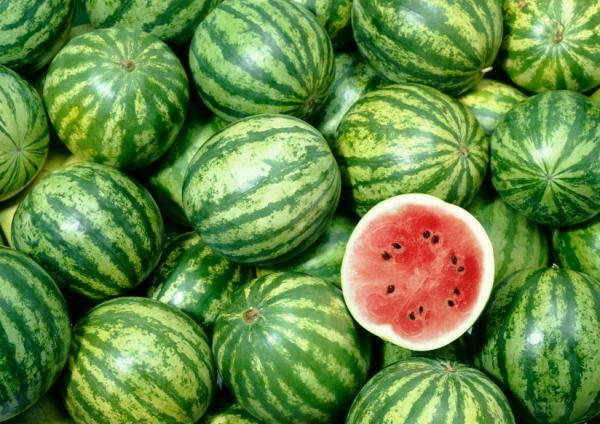 The watermelon peel, Xi Gua Pi, is less sweet than the fruit, but will help reduce your summerheat edema as well as jaundice with dark urine. So feel great eating your watermelon today and I hope you learned some great facts about Xi Gua aka watermelon. Drink or eat it guilt free! But as we say always in moderation! Here are a few watermelon recipes to change things up! Process watermelon, cantaloupe, or honeydew melon and sugar in a blender until smooth, stopping to scrape down sides as needed. Pour mixture through a fine wire-mesh strainer into a pitcher, discarding solids. Stir in 2 cups cold water. Cover and chill until ready to serve. Serve over ice. 2. To make the salad, tear the ciabatta into crouton-sized pieces, drizzle with olive oil, place in a roasting pan, and cook for about 5 minutes, until golden. Let cool. 3. Toss the remaining salad ingredients in a large bowl, add the ciabatta and mix together well, Season with salt and pepper. 4. To make the dressing, whisk all of the ingredients together and pour over salad. Allow the flavors to marinate for about 1 hour before serving.